The EP starts quietly with acoustic guitar and a beautiful falsetto vocal performance on ‘I Know You’re Gonna Leave’. This track shows how Ollie English has taken traditional blues influences and mixed them seamlessly with modern alt-pop aspects. Before long the drums and bass enter providing the first of many solid grooves that feature throughout Cabin Thoughts. When ‘I Know You’re Gonna Leave’ builds to a head, power and pain are felt simultaneously within the vocals as a scream from Ollie bellows and effortlessly compliments the dynamical characteristics of the tune. Cabin Thoughts continues to be dynamical and emotive with nothing but acoustic guitar and vocal in ‘Winter Sun’. Ollie easily goes between raspy, gritty vocals and clean, expressive falsetto with musical stops placed strategically during the song adding significance to the solemn lyrical themes and vocal theatrics. The acoustic riff is memorable and guaranteed to get stuck in your head for the rest of the day (and that’s definitely not a bad thing). Ollie English continues to impress with ‘Let Her Run’ and ‘Doldrums’ providing full band arrangements with some funky grooves and tasty guitar dabbles. I feel myself moving to the rhythms gracing my ears, thinking this is truly great music to listen to anytime, at a party or on a lazy Sunday afternoon, perfect for any occasion! Ollie English proves that blues music is still alive and kicking. There is still much ground to be explored that has been formerly paved out by historic and famous blues musicians; English is elegantly continuing this exploration. It is refreshing to hear exquisite homegrown blues talent coming up right here in Adelaide, and Ollie is set to make a name for himself in Australia and, eventually, around the world. Get your hands on Cabin Thoughts for a modern blues experience and for the love of music! With great pleasure I get to experience the long awaited debut album, A Room With A View, from Adelaide rockers Cherry Grind. Possibly one of the most anticipated album releases of 2015, a year that has been full of new music and fresh tunes, it shows that rock ‘n’ roll is not dead. The tasty jams will convince you. A Room With A View is a classic rock influenced album, with various modern twists, full of catchy hooks, powerful vocal performances and bluesy guitar solos. The album opens with ‘No One Home’ that proves you’re in for a ride as Cherry Grind takes you back in time. Before you know it, ‘Dusty Road’, the first single from the album, blasts onto the scene with fat riffs and groovy madness. Cherry Grind’s rawness and live appeal has been captured on A Room With A View. The listener only needs to crank the volume and close their eyes to experience the power of Cherry Grind. The album was produced by Bob Daisley, previously of Rainbow, Black Sabbath and Uriah Heep fame (just to name a few), and recorded by Mick Wordley and the band themselves. All parties have done a solid job in achieving the characteristically raw sound and encapsulating the stage presence of the band on the record. In contrast to the live nature of the album, ‘Sunlight’ stands out as showing a different side to the hard rock band. Keyboard features prominently provided by Sam Patsouris along with intricate harmonies from Patsouris and bassist Peter Cerlienco. Furthermore, Jack Stevenson provides emotionally driven guitar parts. Stevenson’s guitar finesse is on fire throughout the entire album and is definitely worth hearing. A few classic Cherry Grind numbers that fans have come to know and love are featured on the album like ‘The Gap’ and ‘A Minor Problem’, along with new grooves like ‘The Fool’ and ‘See You Again’. Even from the first listen, I was jumping around to the world-class rock ‘n’ roll, with the scrumptious riffs and beguiling melodies sticking in my head. Cherry Grind has crafted a killer rock album that will make your feet stamp, hands clap and lips slap, or something like that. They combine all the nostalgic influences of what makes rock music brilliant and popular. Have a listen to A Room With A View for the love of music and you won’t regret it. On Tuesday evening I witnessed a band that has been a big part of my life over the past six or seven years. Anathema has provided me with various emotionally driven soundtracks for my life at different stages, they have helped me through hard times and provided me with tunes for the good times. I was intrigued to hear how the Anathema catalogue might sound in an acoustic arrangement. Kicking off the evening was local Adelaide act Icecocoon. They played a stripped back all acoustic set, in keeping with the evening’s theme. I was impressed by the musicality of the members and the interesting vocal harmonies presented. With many progressive aspects and some groovy tracks, Icecocoon warmed up the audience for what was to come. Anathema took to the stage as a trio comprised of Daniel Cavanagh, Vincent Cavanagh and Lee Douglas. Starting off the set was ‘The Lost Song (Part 2)’ from their latest album Distant Satellites. Showcasing the vocals of Lee Douglas and giving a taste of what was to follow sonically, the song shone in an acoustic light with harmonies and guitar parts from the Cavanagh brothers. As the set progressed there were many expressive songs that were extremely powerful when played in an acoustic setting. I was holding back the tears throughout ‘Dreaming Light’. Over the course of the song and the night Vincent Cavanagh’s voice was unique and powerful, it’s one of the reasons I am drawn to Anathema time and time again. Mixed with the compositional talents of Daniel Cavanagh, this makes Anathema a well-rounded group that connects and communicates seamlessly with the innermost depths of one’s soul. Moments of crowd participation stood out in an intimate situation. Vincent urged us to put the flashlights on our phones on and light the stage while the house lights were switched off. A performance of ‘A Natural Disaster’ followed and the room felt like one big unit, all working together to create inimitable musical memories. Before closing out the set with an acoustic cover of Pink Floyd’s ‘Another Brick in the Wall (Part 2)’, Daniel announced: “To anyone who thinks that acoustic isn’t cool, check this out!” He then proceeded to rock The Gov with his acoustic guitar and some help from the audience. 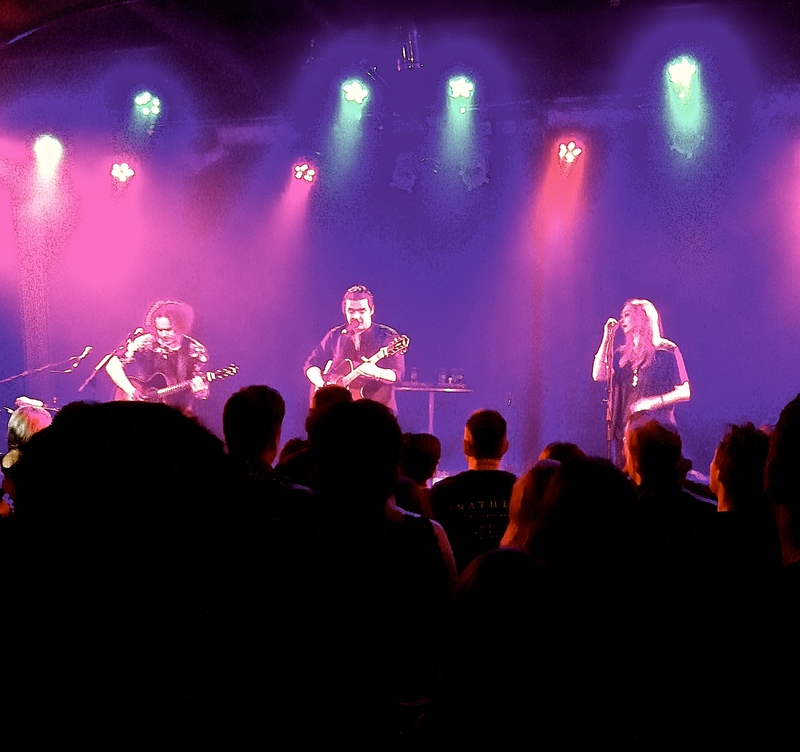 Despite a few obnoxious hecklers, quickly put in their place throughout the evening, it was a smooth, intimate and emotional performance by Anathema. Any doubts and uncertainties of an acoustic show were immediately blown out the water from the first song. Anathema put on a performance to remember and I was so happy to have experienced their music in this close, acoustic setting for the love of music. 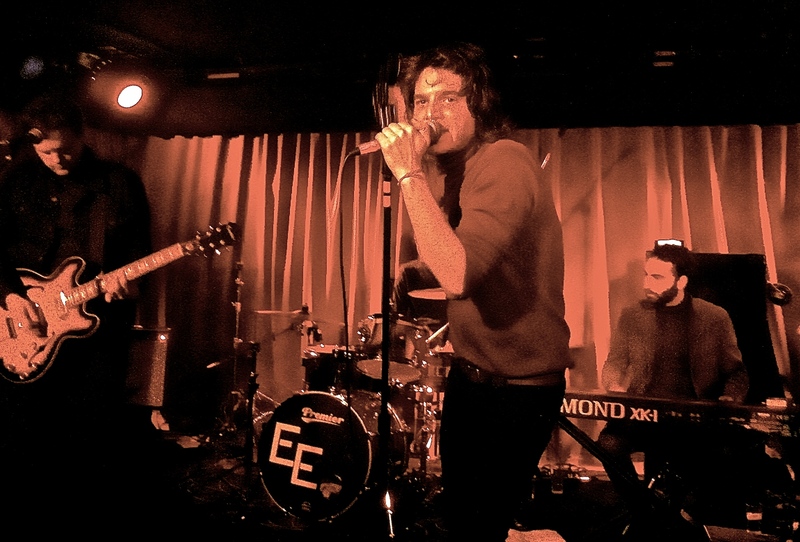 In a packed out Crown and Anchor on Friday night, Electric Exiles put on an engaging performance celebrating the release of their new single, ‘A Dizzy Fashion’. It was an evening of tremendous songwriting and enthralling high-energy music. Kicking off the evening was Mark Curtis in traditional acoustic fashion. Showcasing mostly intricate originals with a few memorable covers, it was a charming set that got everyone warmed up for the night ahead. A cover of ‘Thirteen’ by Big Star got the front man of Electric Exiles, John-Paul, onto the stage. Tasty harmonies and tender vocals ensued, and a crisp expressive take on an old classic. Blasting onto the stage, Jungle City reminded me of their high energy original rock ‘n’ roll tunes. Right from the first words of ‘Suicide Shuffle’, the room was along for the ride. The set progressed with groovy drums and thumping bass lines. The old school feels were in full swing however when singer Brenton Wilson announced the band was going to play something new. 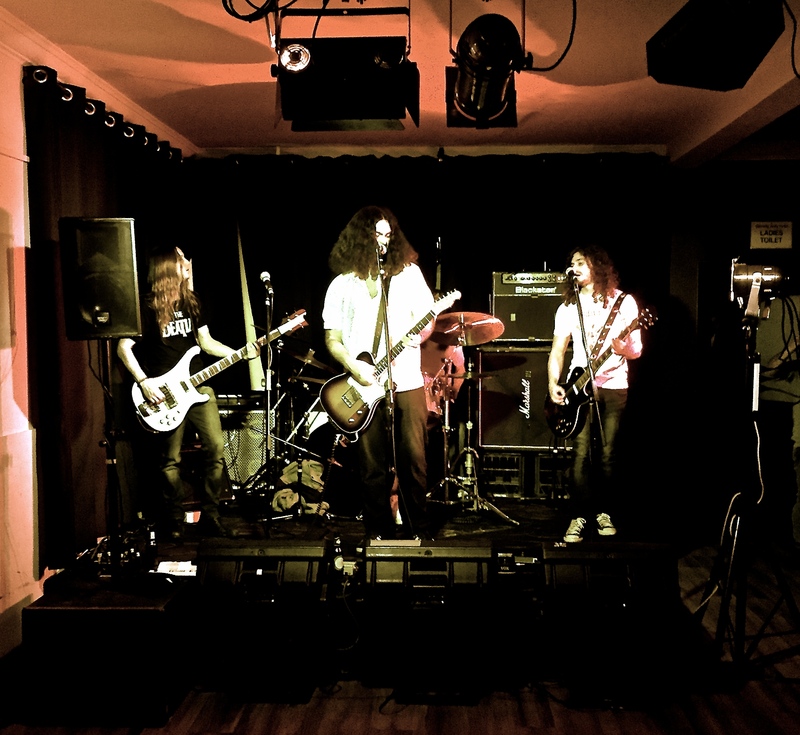 Jungle City launched into a blues-rock number that had the Cranker hanging on every note. 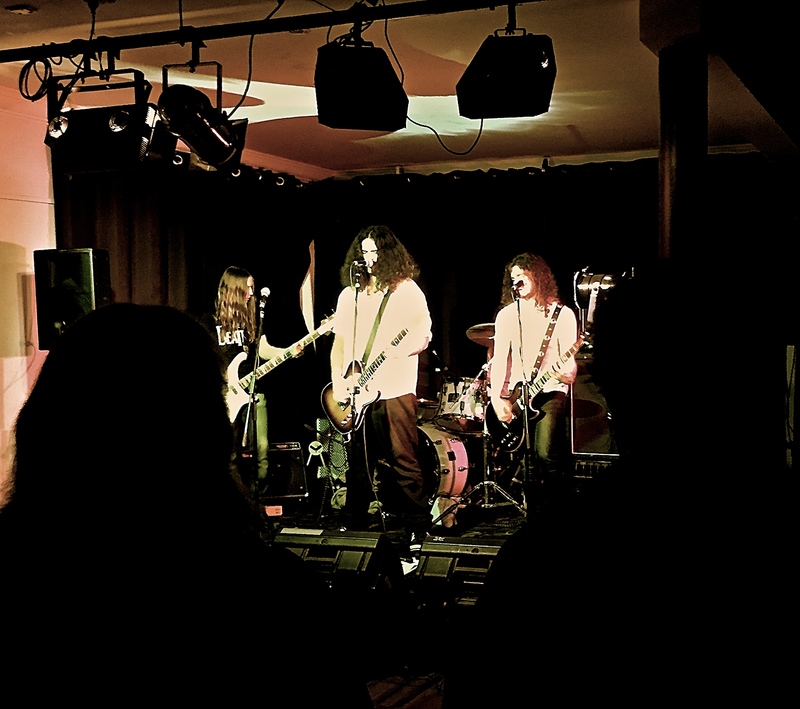 With thoughtful dynamics and a carefully composed guitar solo, Jungle City presented their mature songwriting in a consistently energetic performance. Jungle City captivated with their rock jams. As the Crown and Anchor started to fill up, Electric Exiles made their way onto the stage for what would be an outstanding show. Starting the set with ‘Loser Girl’, they mesmerized with their catchy melodies, jangly guitar and powerful sing-along hooks. 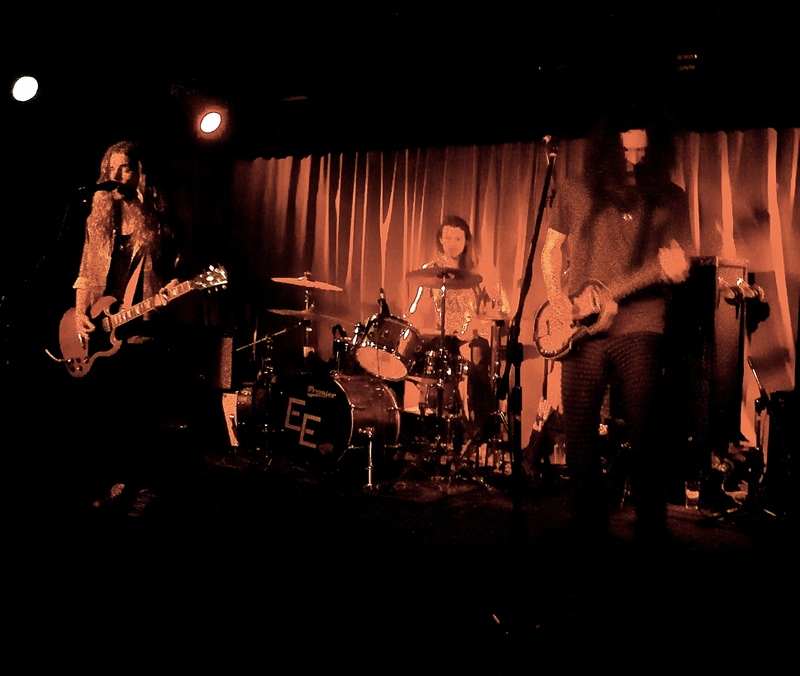 Each time I see Electric Exiles I am impressed by the band’s image. Dressed in paisley shirts, long-sleeved skivvies, denim jackets and blazers, it was a distinctive dress code harking back to a retro time. Interestingly, it does not take away from the music which graces your ears, it thoughtfully adds to the remarkable ‘60s and ‘70s garage-pop influenced tunes. Further adding to the band’s overall image were the infectious stage antics of front man John-Paul. Dancing around and rockin’ out like a star, it was a pleasure to witness as he had everyone falling in love with him around the room. In keeping with the ’60s themes, I watched as John-Paul swung the microphone around like Rodger Daltrey of The Who. Along with Danny slapping the bass, Teon spanking the drums and Matt tickling the keys, all jumping around and getting into the music, it made for an unforgettable rock show. The new single, ‘A Dizzy Fashion’, was smashed out making the audience go wild. “Na na na” was bellowed throughout the Cranker, as the drums, vocals, bass and guitar all played as one tight musical unit to form an extremely catchy intro. Having only heard the song a couple of times before, I was happily singing the melody all night long. During the evening John-Paul announced that there would be an EP coming out soon. So to end the set Electric Exiles played what hopefully could be the next single off the EP, ‘Garden Maze’. The fresh tune got the audience dancing to the solid rhythms and singing along to the anthemic choruses. That is the beauty of Electric Exiles, having heard the song for the first time, anyone could sing along and feel included. Not many bands possess this unique songwriting technique, which make Electric Exiles distinctively exceptional. The debut Electric Exiles EP is set to come out later this year, and judging by Friday night, it is going to be an important must-have EP. The whole evening was exciting, interesting and superb from beginning to end. Electric Exiles incorporate pop-rock songwriting magic into a one-of-a-kind live show that needs to be seen to be believed. So get out there and check out these breathtaking artists for the love of music. Catchy songs and an on-point performance, Electric Exiles were exhilarating.